Memorial Day is one of those holidays that you really can’t wish someone a happy one… because there’s nothing joyous about it. So I’ll just thank those who are serving in the military now, thank those who served in the past and salute those who lost their lives fighting for this country. Don’t think I’ve ever saw this before and I think it looks awesome too. Your G.I. stuff is some of my favorite too. Guess I’ll have to check that section out sometime soon. That’s one of the better pics I was able to fight though during the artist’s block/lull/whateveritwas. 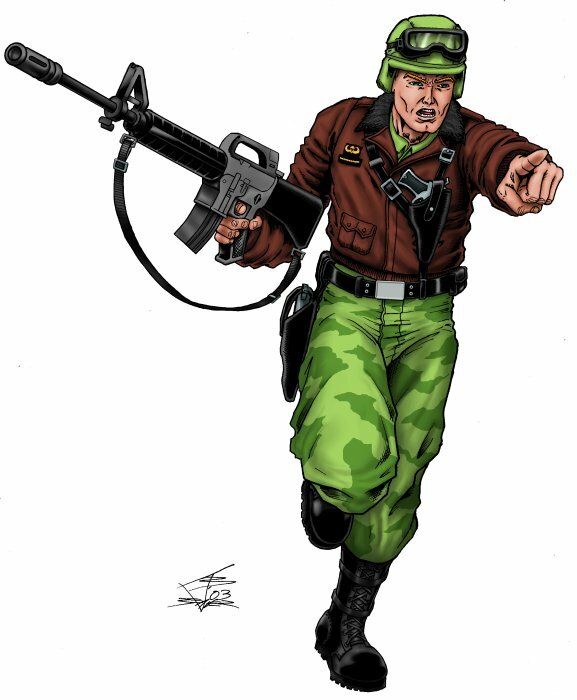 If you hit the artwork page on the main site, there’s a new, different G.I.JOE gallery there now with this pic in it.